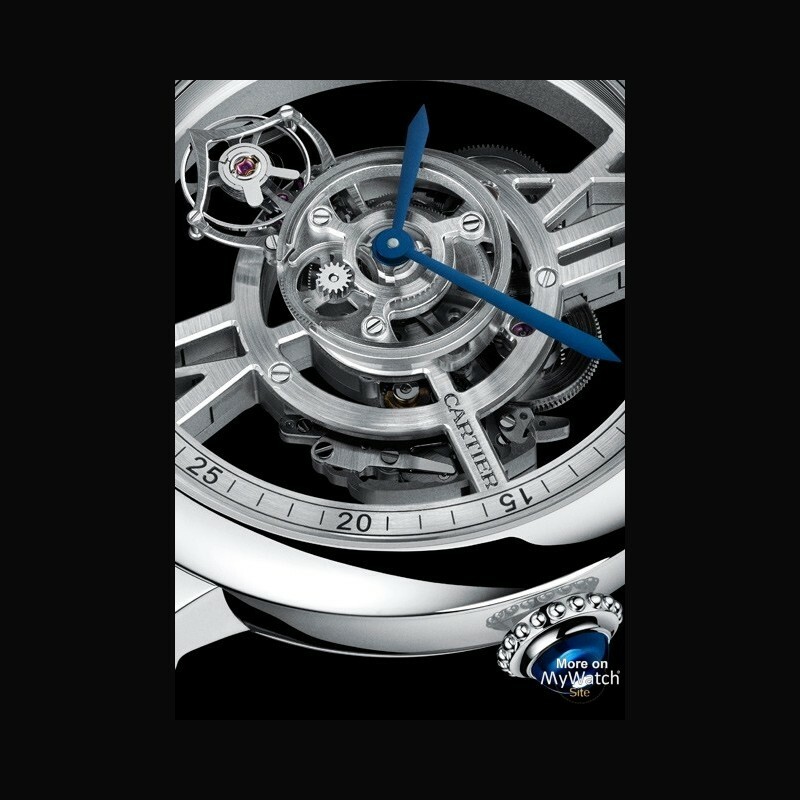 Created by Cartier in 2010, the Astrotourbillon has been the subject of a great deal of watchmaking research since its very conception. Thanks to this watch with its spectacular dial, it today stands as one of the emblematic watchmaking complications of the Cartier Fine Watchmaking collection. 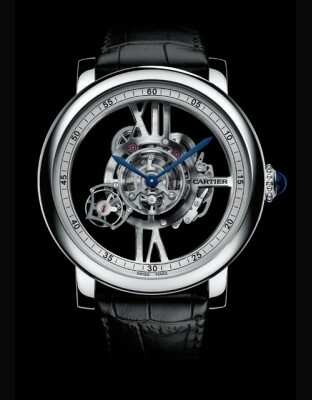 In 2010, Cartier offered a new vision of traditional tourbillon design with the Rotonde de Cartier Astrotourbillon watch. For the first time, this complication was no longer limited solely to its function, wich consists of guaranteeing better timekeeping and reducing the effects of gravity, but instead was fully incorporated into the aesthetics of the watch. Indeed, unlike classic tourbillons which rotate around their own axis, the Astrotourbillon is distinguished by its elongated cage that enables the balance to make a complete circle of the dial in a minute, thus marking the seconds and evoking a star. 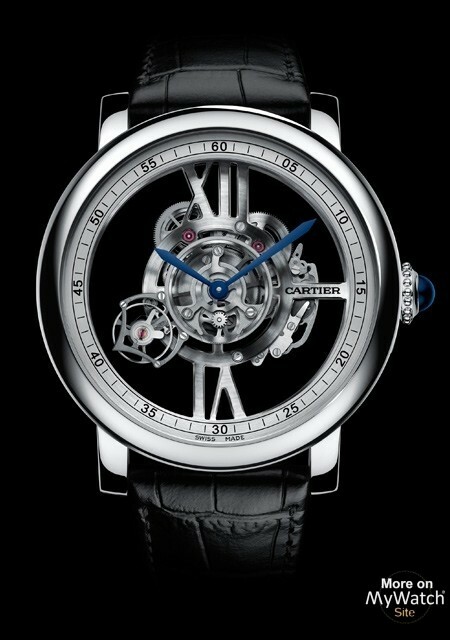 In 2012, on the back of research led by the innovation programme responsible for the ID One and ID Two concept watches, which explore, among other areas, the performance of materials never before seen in watchmaking, Cartier decided to use carbon crystal for the Astrotourbillon, thus making it the first Cartier movement available for purchase to benefit from this incredible technical advancement. It is as a sculptor of shapes that Cartier has approached this new interpretation of the Astrotourbillon. Entirely laid bare, disentangled from all other mechanisms in order to move into the foreground, it has been entirely rethought and created according to the strictest rules of proportion, harmony and balance. Behind lies an aesthetic intention, a daring creative stance that aims to highlight the movement’s structure so that it “disappears” behind the imposing XII and VI on the dial - a true Cartier signature. 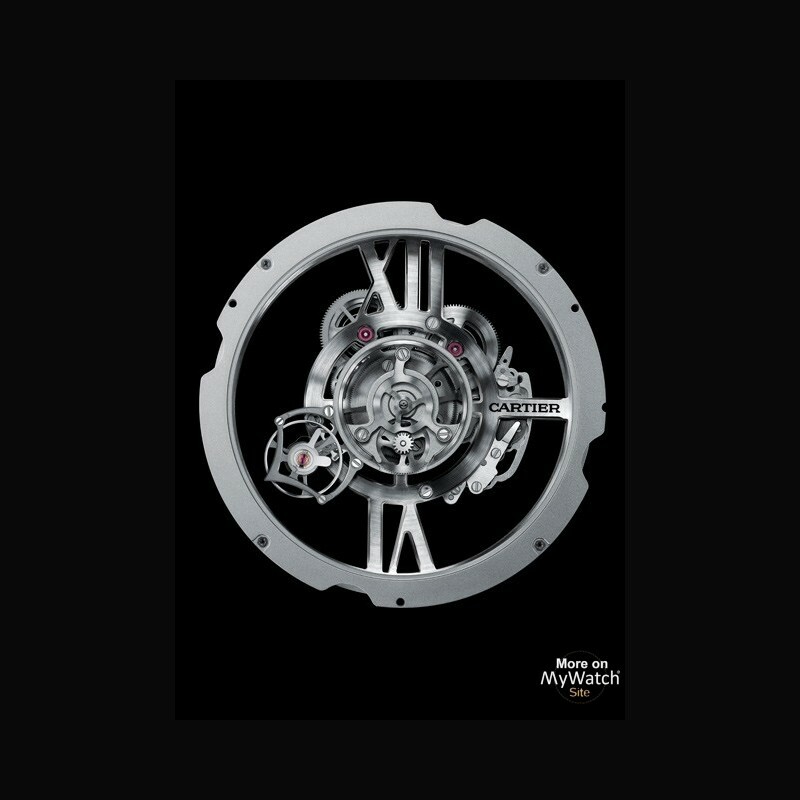 Freeing up this space allowed the Maison’s watchmakers to showcase the Astrotourbillon in all its majesty and increase the amplitude of its rotation. 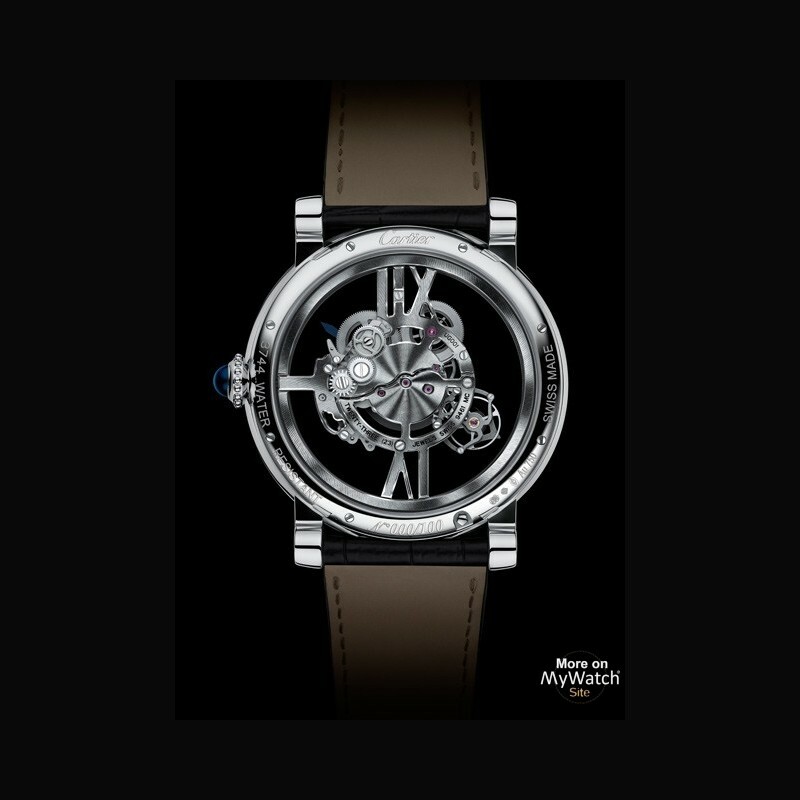 Entirely skeletonised, the main plate of the 9461 MC movement rests on just these two Roman numerals. In this unique architecture, these bridges powerfully structure the calibre, defining its appearance and supporting the construction. A weightless rotation for the Astrotourbillon. 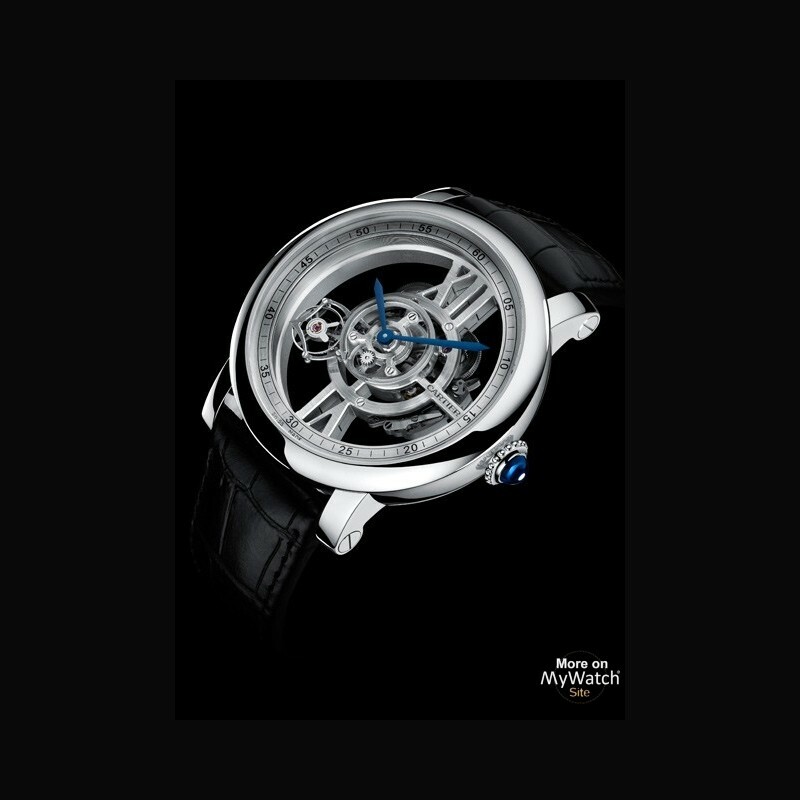 This architecture is aerial both in terms of its structure and its tourbillon cage. In fact, its elongated form enlarges the amplitude of its trajectory and evokes a celestial body travelling through space. 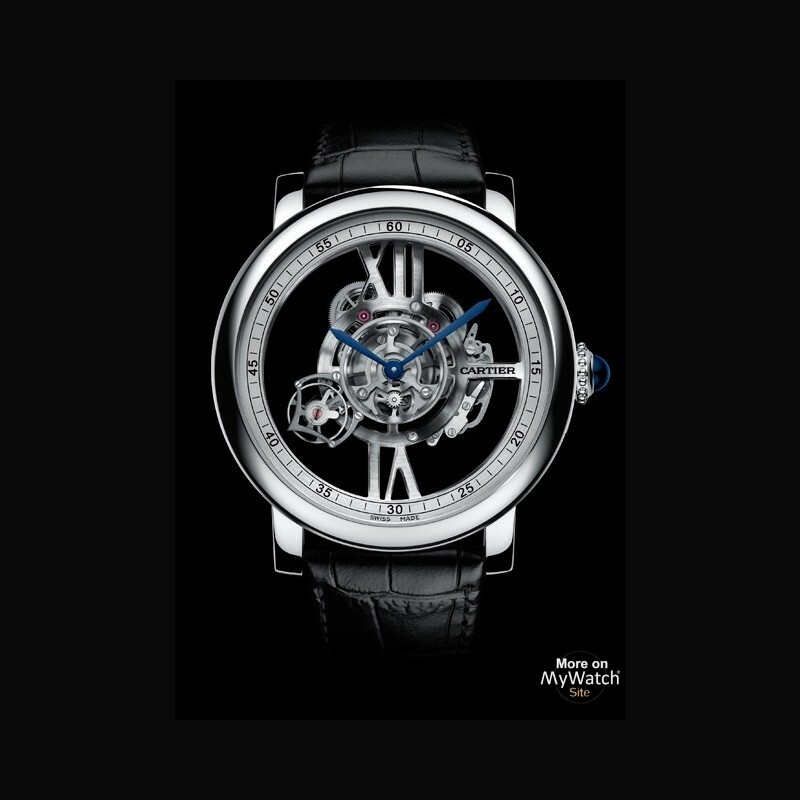 At the crossroads of technical progress and a daring artistic vision, the Rotonde de Cartier Astrotourbillon Skeleton watch embodies the Maison’s ambitions: at once creative and innovative, from both a technical and aesthetic perspective, it is at the heart of the great challenges met by Cartier Fine Watchmaking. 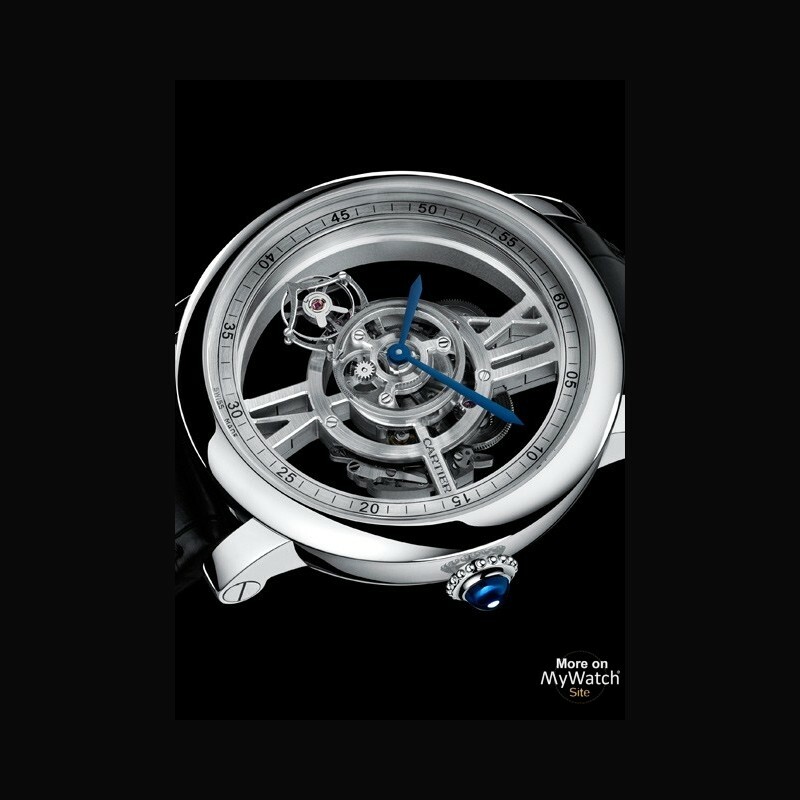 Today it has accomplished the double feat of reducing the movement to an almost sculptural form and generously enlarging the orbital trajectory of this unique complication: the Astrotourbillon.